Your eyes convey emotions and feelings in an instant and people sense that you are happy/angry, rested/tired, eager/disinterested or honest/shifty. If the image you project does not match your feelings, look at your eyes. If you always look tired or angry, even when you are not, take a close look at your eyelids. Contrary to the perception that you have to be a certain age before you have something done, young adults may benefit from reducing bags under the eyes or lifting heavy lids. We have four eyelids. Excess skin on top may make you appear drowsy, disinterested, inattentive, angry, or suspicious; it may even limit your field of vision. Lower lid bags may make you appear tired by casting a shadow that looks like a dark ring under the eyes. The removal of redundant skin and/or fat is frequently performed under local anesthesia with sedation. 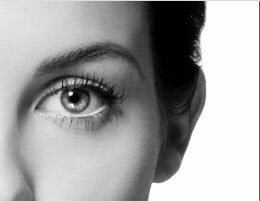 Depending on your needs and desires, you may correct just upper eyelids, just lower eyelids, or all four lids. Incisions are placed in natural skin folds of the upper eyelids and may be placed on the inside of the lower eyelid leaving no external scar.